Peter Pilotto and Christopher De Vos comprise the dynamic design team behind Pilotto’s successful namesake label. 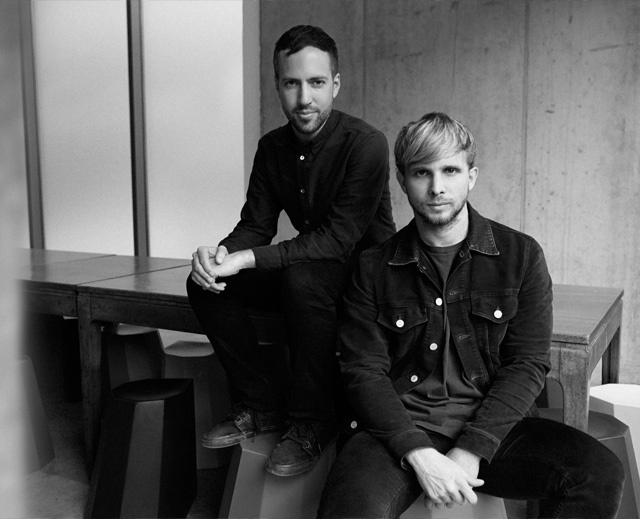 Peter Pilotto and Christopher De Vos are the designers behind the PETER PILOTTO label. Pilotto is half-Austrian, half-Italian and De Vos is half-Belgian, half-Peruvian. They met whilst studying at Antwerp’s prestigious Royal Academy of Fine Arts in the year 2000. The partners raised a minority-stake investment from London-based investment firm MH Luxe and Megha Mittal, chairman and managing director of German luxury brand Escada in 2015. The investment is Peter Pilotto’s first injection of external funding, previously the eight-year-old business has been self-financed and wholly owned by designers. Industry sources estimate the business turns over about $15 million to $20 million per year. Launched in 2007, the duo’s first collection of digital printed designs proved an instant hit, winning the designers instant acclaim and securing their first buyers. The British based brand is now sold in over 49 countries and is stocked by luxury retailers such as Net a Porter , Dover Street Market , Saks Fifth Avenue and Liberty. Both Pilotto and DeVos hold dual nationalities, being Austrain/Italian and Belgian/Peruvian respectively.